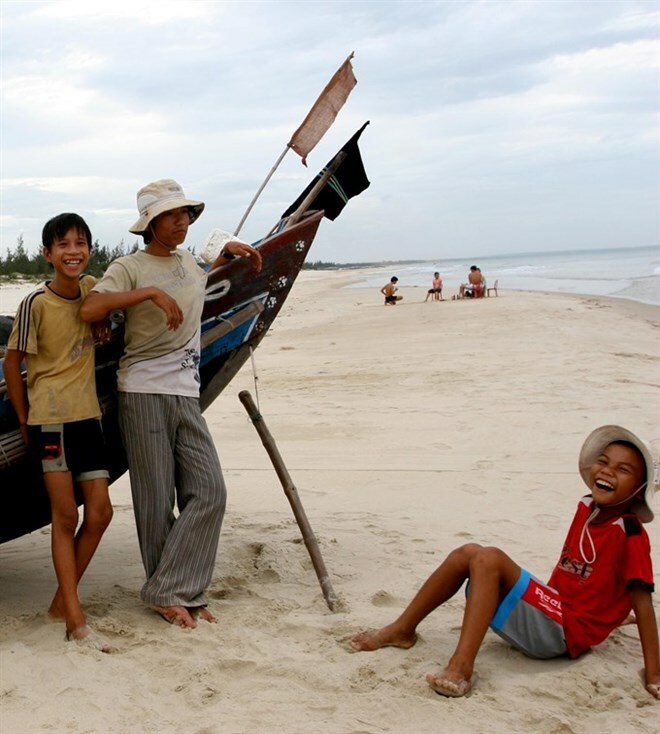 Quang Binh (VNA) - For the last few years, an increasing number of students in Hai Ninh commune in central Quang Binh province’s Quang Ninh district have dropped out of school to help their parents with fishing at sea. According to the commune People’s Committee, in the school year 2016-2017, the commune had 115 students graduate from secondary schools but just 88 applied to high schools for 2017-2018. It is unclear if all of the 88 students will attend high school. Hoang Van Than, head of the commune’s Studying Promotion Association, said that after graduating from secondary schools, many local students did not want to continue their education. “Male students work at sea with their families while female students quit school and go to urban areas to seek jobs,” Than said. With the new school year fast approaching early next month, Than said that local authorities and agencies are trying to encourage children to return to school. In the past, children of poor households dropped out of schools because of financial difficulties but recently, children of well-off families have also quit school early to work, he said. Nguyen Xuan Ninh, 15 years old, of Hai Ninh commune, has worked on an offshore fishing boat for three months after he graduated from secondary school. “I won’t continue going to school because I am not good at studying. My family is not well-off and I also have two younger sisters at school age. Now, I can work to earn some money to help my parents,” Ninh said. Ninh said that most boys in his class did not go to school any more, with only 10 of the 31 in his class planning to return to school. Another teenager Nguyen Van Hiep said he and his family agreed that even with a degree, he would struggle to get a job. So after graduating from secondary school, Hiep started working at sea like his father. In other central coastal provinces including Nghe An, Quang Tri, Thua Thien-Hue, school dropouts have been reported because of poverty and early marriage. Do Van Phu, Director of Quang Ngai province’s Education and Training Department said that last school year, the province had a dropout rate of 0.69 percent or more than 1,400 dropping out, including 24 primary students, 571 secondary students and 841 high school students. Phu said that the number of students dropping out fell but the dropout rate remained high. He said students who performed poorly did not want to continue schooling and the low rate of students find work after graduation also harmed school attendance. Nguyen Dinh Vinh, director of Da Nang city’s Education and Training Department, said that timely assistance to disadvantaged students could help prevent them dropping out.